When a slow drain is impacting the entire plumbing system in your house, you need rooter services. Rooter services can take care of a wide variety of problems with your pipes, including cleaning them out, repairing them, maintaining them and even replacing them if need be. When you need rooter services, whether for your home or your business, you want them done quickly because having slow or clogged drains disrupts everything. We understand completely, and we’re here to help when you need us. If you need rooter services call Emergency Plumbers Chicago immediately and we’ll get your problem taken care of as quickly as possible. Emergency Plumbers Chicago can help you with your clogged drains and more. Sometimes a slow or stopped up drain is just a build up of household debris. Hair, soap, even hard water can cause things to slow down, and our highly skilled plumbers can help. But a slow or clogged drain can also be a sign of much bigger problems that will impact your entire home’s plumbing system. 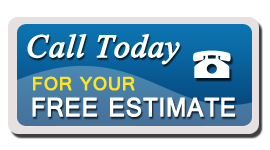 Our experienced, knowledgeable plumbing professionals will arrive on time and assess your situation. If your problem requires rooter services we have the state-of-the-art equipment that’s needed to get the job taken care of quickly and effectively. We work hard to minimize your down time so that you can get your life back to normal. Because a clogged drain can be a symptom of problems deep within your pipes, we have equipped ourselves with the latest, most highly efficient equipment to allow us to see exactly what is going on. Whether you have a clog deep within your system or need sewer pipes repaired or replaced, our highly skilled professionals will be able to determine exactly what and where the problem is and provide you with a quick assessment of what needs to be done to fix it. We understand how upsetting needing rooter services can be, but when you call us for your plumbing needs you can rest assured that you are in the hands of skilled professionals who will be able to take care of the problem with a minimum of disruption to your life. If your drains are clogged, call us today for immediate help. Whether it’s a simple repair or you need rooter services, we’ll get things back to normal in no time.